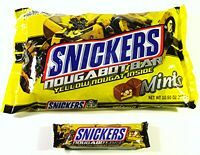 Ok, now every time there's a new Transformers movie, I start clamoring for the return of the Bumblebee Snickers bar. But... you know... there's a Bumblebee movie coming out this summer, which would be just the perfect time. Look, my stock pile ran out in 2010 and I haven't been holding out for a candy bar for 8 years for nothing. Oh hey, think Sonic will get those Transformers slushes again?